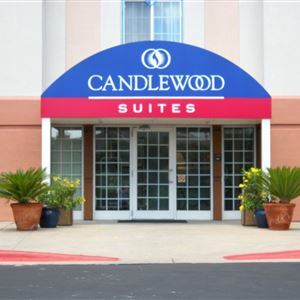 Located in Austin, Candlewood Suites Austin Arboretum-Northwest is in the business district and convenient to The Domain and TopGolf Austin. This aparthotel is within close proximity of North Cross Mall and Norris Conference Centers. Make yourself at home in one of the 125 air-conditioned rooms featuring kitchens with refrigerators and microwaves. Wired and wireless Internet access is complimentary, while DVD players and cable programming provide entertainment. Conveniences include safes and desks, as well as phones with free local calls. Take advantage of recreation opportunities such as a 24-hour fitness center, or other amenities including complimentary wireless Internet access and gift shops/newsstands. Additional amenities at this aparthotel include a television in a common area and barbecue grills.